CS-SUNN ENGAGES NIGER STATE HOUSE OF ASSEMBLY OVER INCREASED HEALTH BUDGET; LAWMAKERS PLEDGE TO SURPASS 15% ABUJA DECLARATION BEFORE END OF THE 8TH ASSEMBLY. Budgeting is basically the translation in financial terms of government policies; a fiscal estimation of what government plans to spend, where it plans to spend it on and how it intends to source the funds. Over the years Nigeria’s budgetary allocation to its health sector has hovered between four to six per cent of its national budget. It is quiet alarming that fifteen years after member countries of the African Union (AU) met in Abuja and pledged to set a target of allocating at least 15 per cent of their annual budget to improve the health sector, Nigeria, which served as the ‘declaration ground’ is still far behind. In 2013, N279 billion was allocated to health, in 2014, N262 billion and in 2016, N221.7 billion which is still far below the agreed 15 per cent Abuja Declaration. This dwindling and inadequate funding for health in Nigeria continues to impact negatively on basic healthcare delivery especially for women and children. 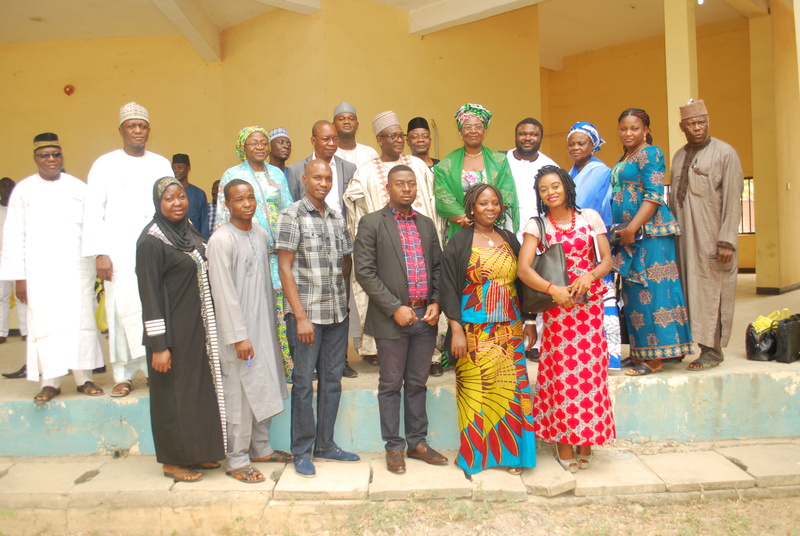 It is therefore in line with CS-SUNN’s/ PACFaH’s goal of engendering government’s responsiveness on policies, budgets and administration on child and family health in Nigeria that CS-SUNN at a recent advocacy visit to the Niger state Assembly urged the lawmakers to uphold their commitments and push for an increased 2017 health budget. Project Director CS-SUNN, Mrs. Beatrice Eluaka urged the Niger State lawmakers to push for an increase in the 2017 health budget. She reminded them of the need to meet the 2001 Abuja Declaration of 15% budget allocation to health by the State, ensure timely release of funds for health projects and provide legislations that will advance financing of health sector, saying an increase in the health budget is imperative. She identified some health challenges in Niger State citing statistics from the NDHS 2013 which puts stunting at 34%, wasting at 18% in the State and exclusive breastfeeding rate in the country below 17%. Mrs. Eluka further revealed that W.H.O target by 2025 is to reduce stunting by 40%, reduce anaemia among women and children by 50% and to ensure countries attain Exclusive Breastfeeding by 50%. On the impact of stunting, Mrs. Eluaka noted that globally, stunting is an indicator of development. She said there is need for it to be checked as one out of every three children is stunted in the state describing it as a poor indicator towards the development of Niger state. In his response, Speaker, Niger State House of Assembly, Hon. Ahmed Marafa represented by Deputy Speaker, Hon. Hussaini Ibrahim described CS-SUNN’s visit as timely and apt saying that it will add value to the budget process. He pledged the commitment of Niger State lawmakers towards surpassing the Abuja 2001 Africa Union Declaration of 15 percent provision for the health sector before the end of the 8th Assembly. On increase in the 2017 Health budget, he said “judge us by the end of the calendar”. He added that Niger State has graduated from 8% to 11% of the Abuja declaration and told CS-SUNN to expect a positive outcome when the budget is finally released with regards to an increased allocation to health. The Speaker however advised Health MDAs experiencing delay in release of allocated funds to collaborate with Chairmen of relevant committees to address the challenge. He identified the underlying factor affecting nutrition in the state as lack of information on appropriate foods and feeding and tasked CS-SUNN and PACFaH to come up with approaches to educate Niger State residents on proper nutrition in order to reduce stunting and other nutrition-related diseases. Timely release of allocated funds to health MDAs for implementation of Health programmes. Provision of conducive environment for development Partners to support health programmes in the state.